Last Day For Retiring Products and Eastern Palace Bundle! My internet has been up and down for days, so this is going to be short and sweet. 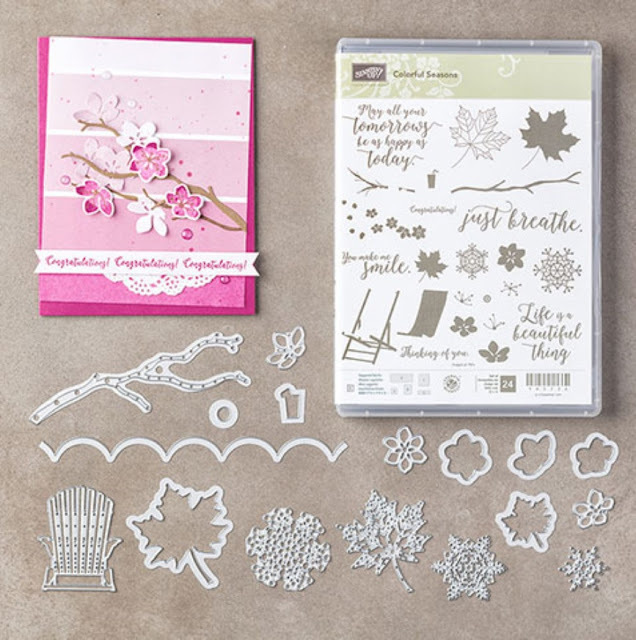 If there was anything you were wanting on the Stampin' Up! 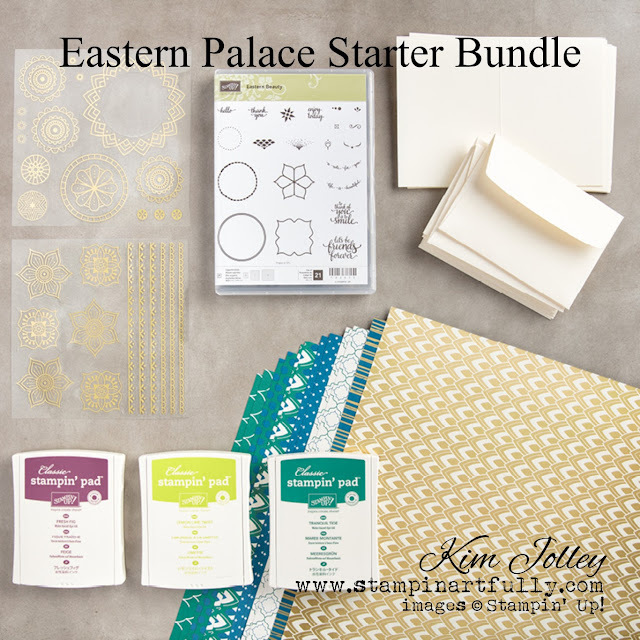 retiring list or if you were interested in the Eastern Palace Bundle, (click here or here to see previous posts) this is your last day to purchase the retiring products and the last day to purchase the Eastern Palace products with bundle pricing. 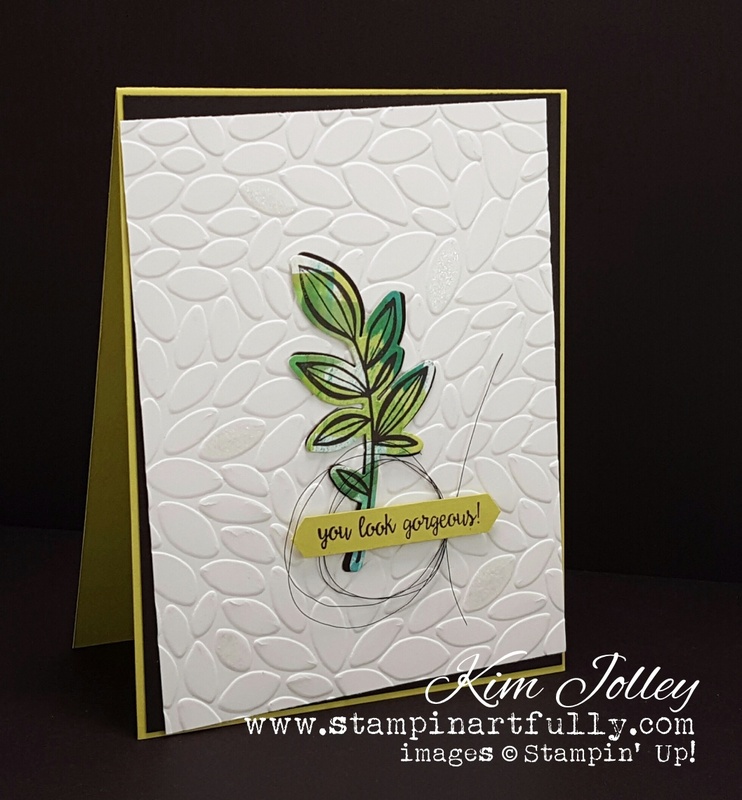 Do you have a Stampin' Up! demonstrator? If not, I would love to be your source for these amazing products and hopefully give you a good dose of inspiration from time to time. This is not just a hobby for me, it is a passion! Click on the header above to find out more info on how you can earn free stamp sets just by shopping with me. Earn Frequent Buyer Rewards! I remember tie-dye when it first made it's appearance in the 1970's. The wild splashes of color were the stuff dreams were made of! While having my morning coffee and browsing a catalog a few days ago, I ran across a very cool tie-dye shirt. 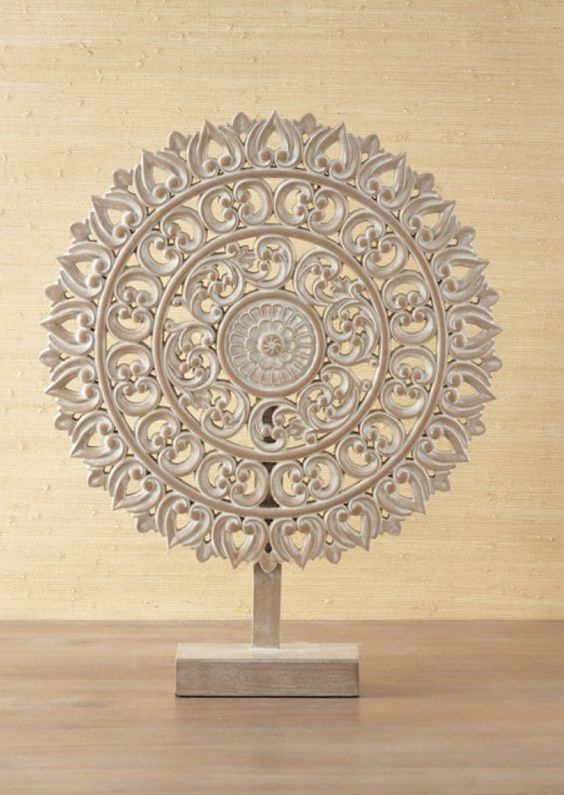 It really caught my eye, just like all of the clothes and home decor items I see on Pinterest and elsewhere do. At that moment, I realized I wanted to figure out how to create a tie-dye looking background for cards. The video tutorial below is what I came up with. It is fun and quick and you may find that it is completely addictive. There are several samples below the video...these are so quick to make, I can't stop! Unless noted, all products Stampin' Up! Sample below was made using the new Lemon Lime Twist and Memento Tuxedo Black ink colors. The new Berry Burst color along with Crumb Cake and Early Espresso was used for sample below. Sample from video. I used Lemon Lime Twist, Marina Mist and Night of Navy. Wouldn't this make an awesome "guy card? I used Crumb Cake and Memento Tuxedo black ink for this one. 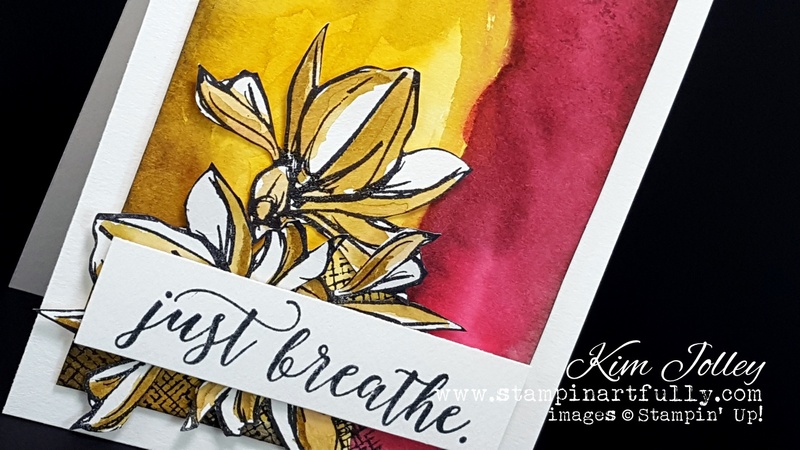 I used Melon Mambo and Daffodil Delight inks for the card below. 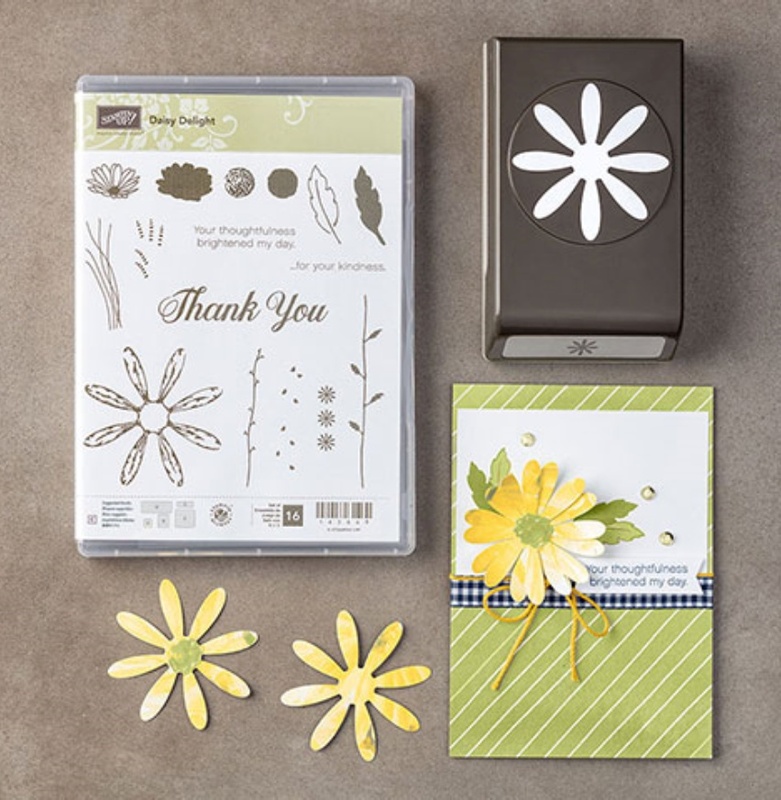 Product info: All of the items below including the two new In Colors I used called Lemon Lime Twist and Berry Burst will be available to order from the new Stampin' Up! catalog starting June 1. The "swoon worthy" Adirondack chair is from a new bundle available called Colorful Seasons and has several great stamps and dies that coordinate. All of the small sentiments and the large Happy Birthday die cut are from another new bundle called Happy Birthday Gorgeous. I know I will use sentiments from this set over and over. The darling daisy on the card from the video is from the Daisy Delight Bundle. 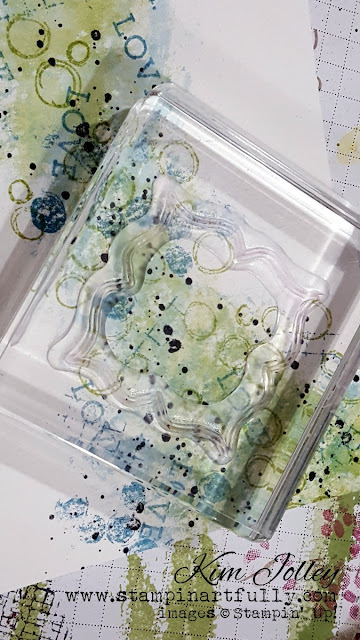 I rather enjoy playing with lots of color and using interesting techniques when I make stamping projects. Unless noted, all products used in the samples below are Stampin' Up! Here are some of my new business cards using #inkswiping These are cards I ordered from Vistaprint with all of the black text info on the right. 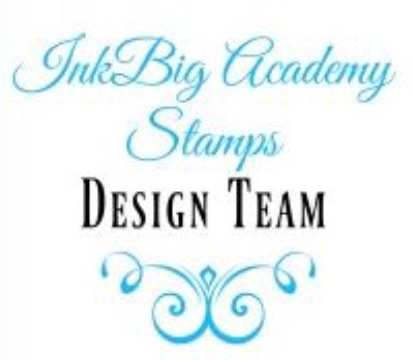 They were approved by Stampin' Up! demonstrator support. I have sprayed them with Krylon Matte sealer (lightly), so the ink won't run if they get wet. The black images were stamped using Archival Basic Black ink. The supply list below contains products used for the card in the video, except for a few items not available for purchase until June 1 from the new annual catalog. 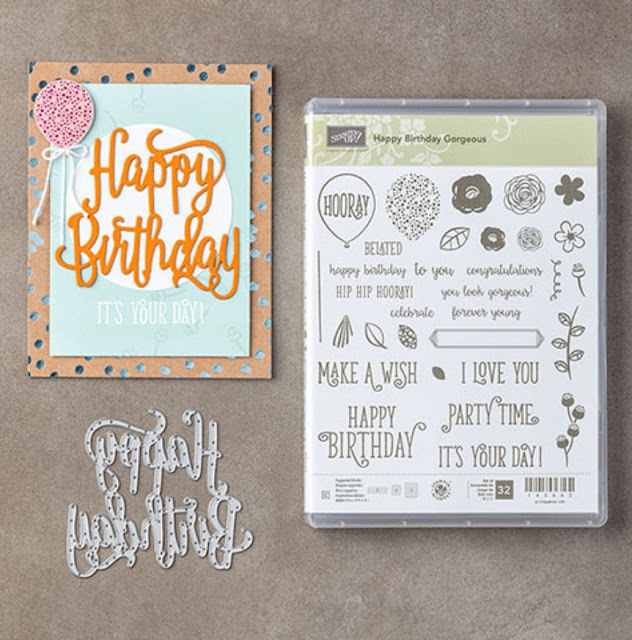 The "Happy Birthday Gorgeous" stamp set and the large "Happy Birthday" thinlit shown in one of the samples above will be both available then. 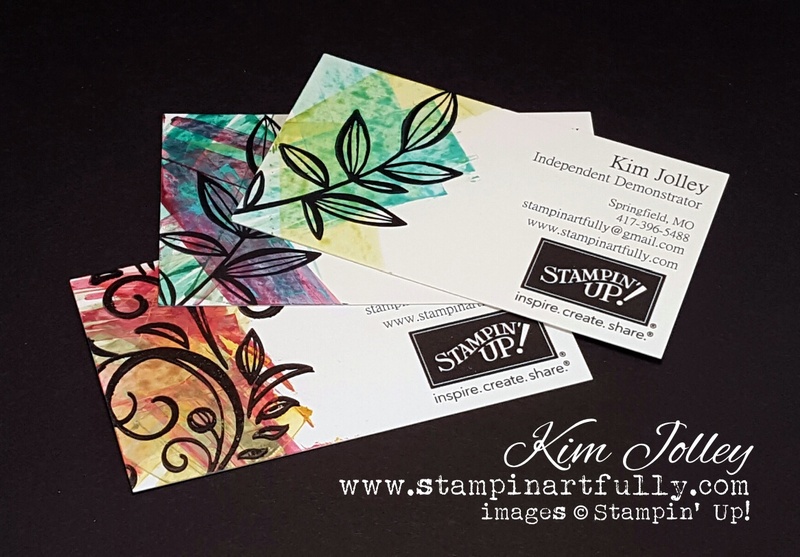 Do you have a Stampin' Up! demonstrator? If not, I would love to be your source for these amazing products and hopefully give you a good dose of inspiration from time to time. This is not just a hobby for me, it is a passion! Click here or on the header above to find out more info on how you can earn free stamp sets just by shopping with me. Earn Frequent Buyer Rewards! 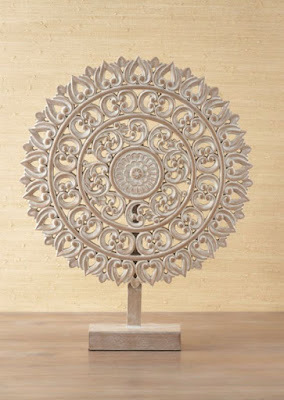 Eastern Palace: From Simple to Sublime! 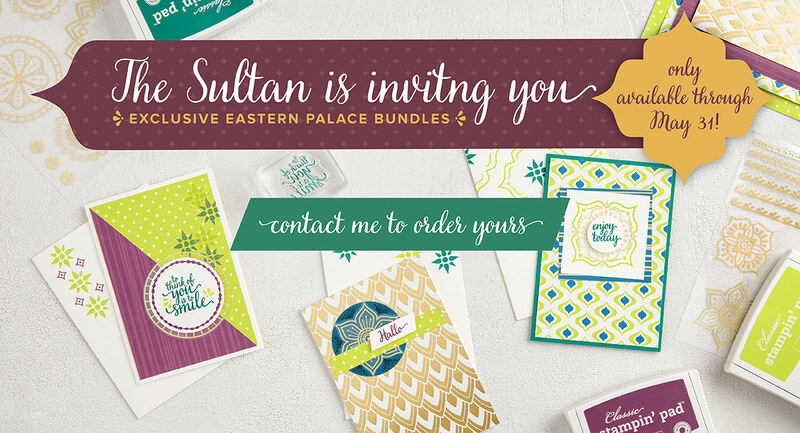 Oh my, I'm having SO much fun with the new Eastern Palace Bundle from Stampin' Up! In my last blog post, I posted several samples using a stamp from that set flipped over on the other side. Yes, I inked the side that normally adheres to the block! See that blog post here. I'm at it again. I woke up this morning with the idea of using a few of the circle-type stamps from that set in a similar fashion. I wanted to show how you could make a very simple card with those stamps and a stepped up version with a bit of watercolor. Both versions of each card were surprisingly quick to make! 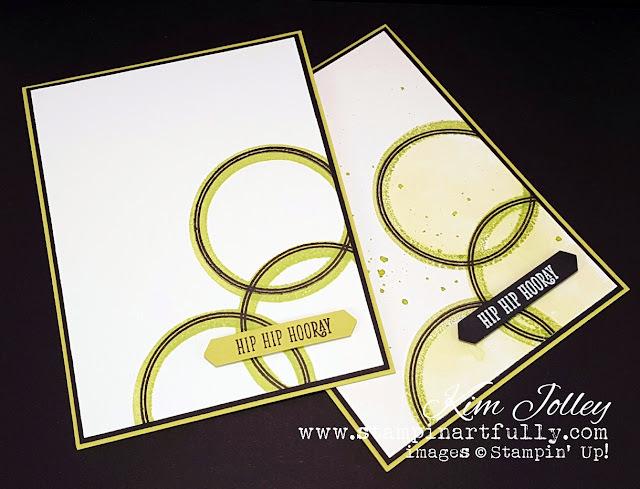 For both cards above, I stamped the backside of the larger circle stamp with the new Lemon Lime Twist ink color. Then stamped right on top of that image with the reverse or intended image using Basic Black Archival Ink. I used Whisper White cardstock on the left card and watercolor paper on the right card. 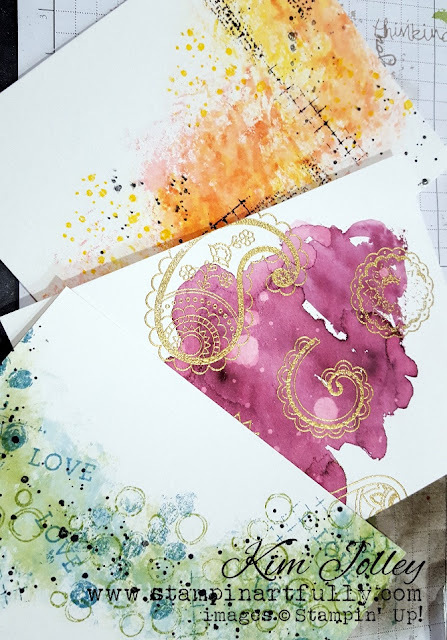 I used a bit of Lemon Lime Twist reinker thinned with water to color in the circles and add splatters to the card on the right. Used my favorite Classic Label Punch with a sentiment from the new set called Happy Birthday Gorgeous, which will be available in June from the new catalog. I using Lemon Lime Twist cardstock for the sentiment. It seemed to keep the card clean and simple as intended. 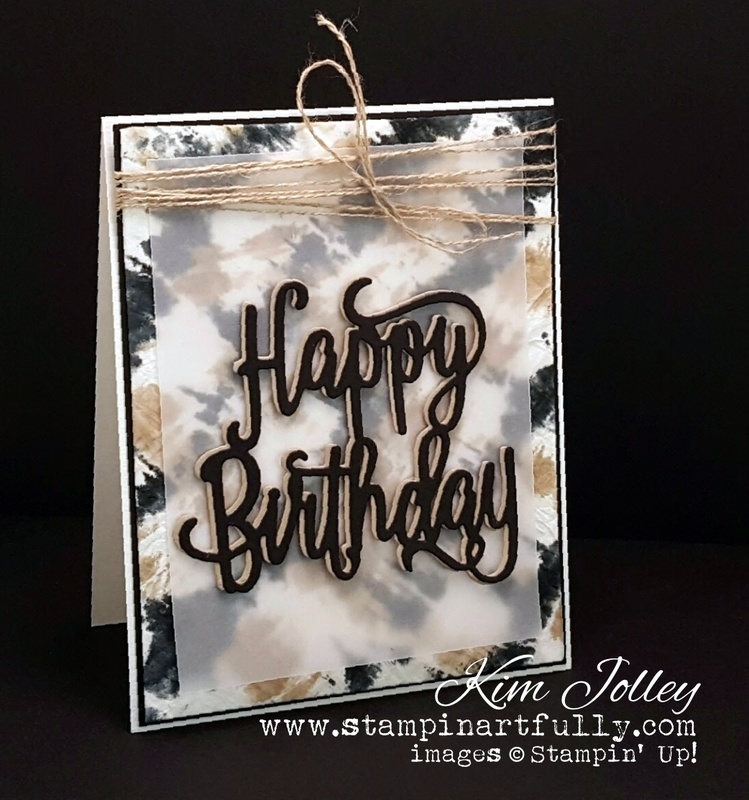 I wanted a bigger impact with the sentiment on this card, so I embossed the same image on Basic Black cardstock and embossed it with White Stampin' Emboss Powder. I love how both cards turned out! 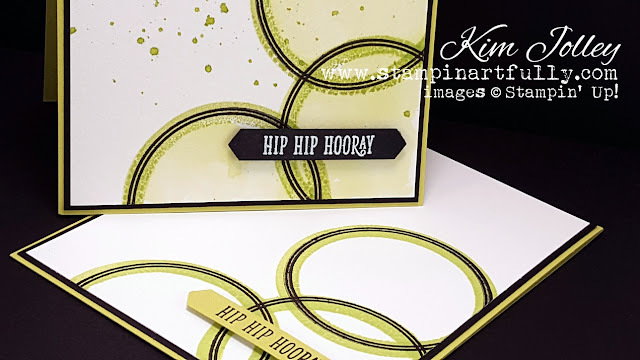 I used the medium sized circle stamp for the next two cards. I used the Crumb Cake ink & reinkers for this project. 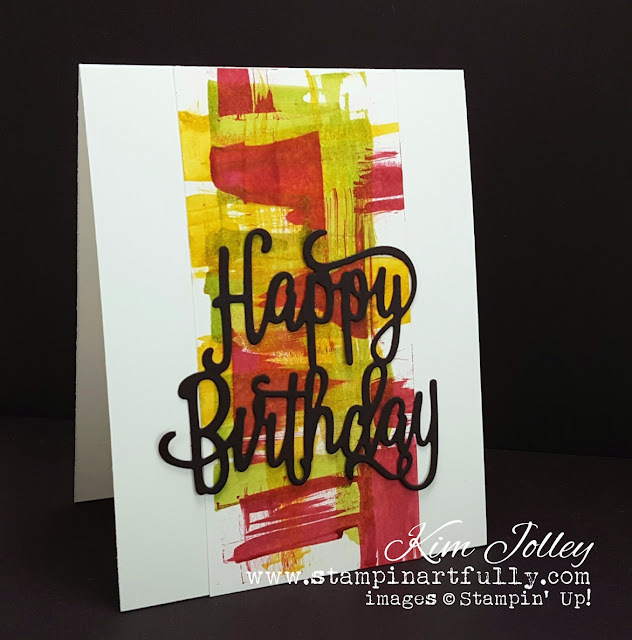 Sentiment is from the Happy Birthday Gorgeous set (available in June). Clean and simple. Took about 5 minutes to make. The one above is probably my favorite out of all of these cards. It took about 12 minutes to make. I love how these circles look with the haphazard watercoloring. I hope I have inspired you to look at your photopolymer stamps a bit differently. I know how hard it is to wait for the new Stampin' Up! catalog to be released in June so you can order the all the new goodies. That's why I was so excited to find out that all of us, EVEN YOU can order new items early! Click on the images above to SHOP NOW! I'm having so much fun with this bundle. In the coming week, I will have some samples with a more traditional use of this set, but right now I want to show you some fun I had this morning. Unless noted, all products Stampin' Up! Many times when I am watercoloring, whether it be traditional or my #foolproofwatercolor technique, I end up with backgrounds or pieces I wasn't entirely happy with for the project I was working on at the time. I always save them. If you follow my blog, you will recognize the backgrounds below. You can see the original projects here, here & here. I used an image from the Eastern Beauty stamp set for the wide, embossed border. I know what you are thinking...there aren't any stamps in that set with a wide border. Yes there is. All you have to do is turn the stamp upside down on the block, basically stamping with the portion that normally adheres to the block! You can almost use the stamp as a "view finder" to figure out what areas you want to use. 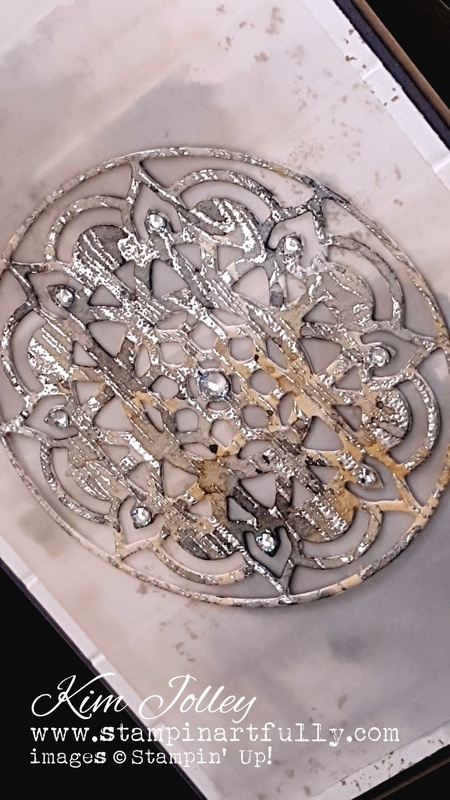 After the image was heat embossed, I used the matching die to cut it out. Once I knew how I wanted the layout to look, these were very easy cards to complete. 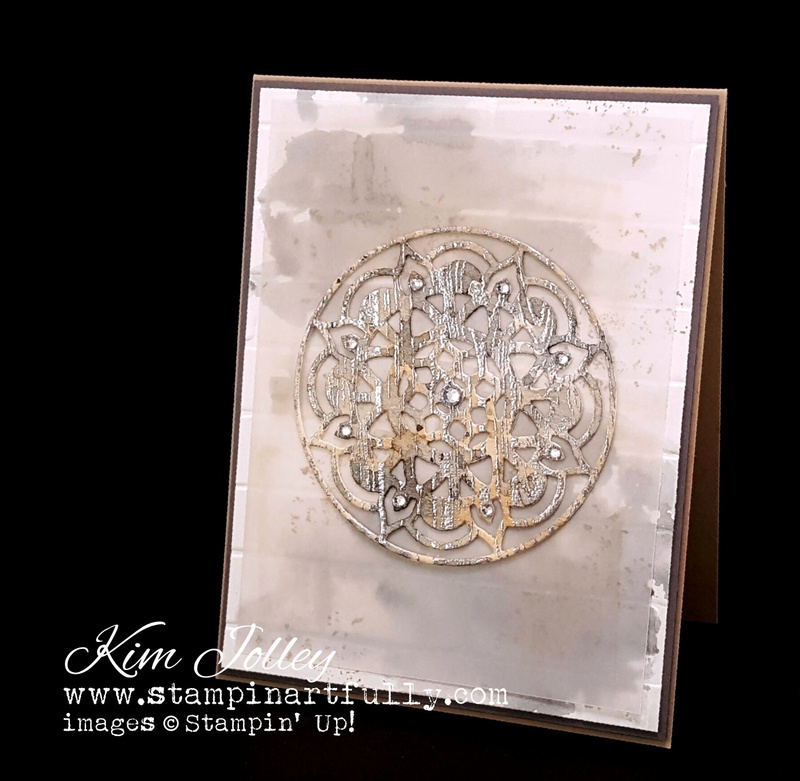 All of the medallions were popped up using Stampin' Dimensionals. My last post explained that I use all types of art, home decor, etc for inspiration with my paper crafting. It is not that I don't use nature or my other surroundings, but I recognize that other artists have a more keen eye and talent than myself in drawing inspiration from said nature, surroundings, etc. 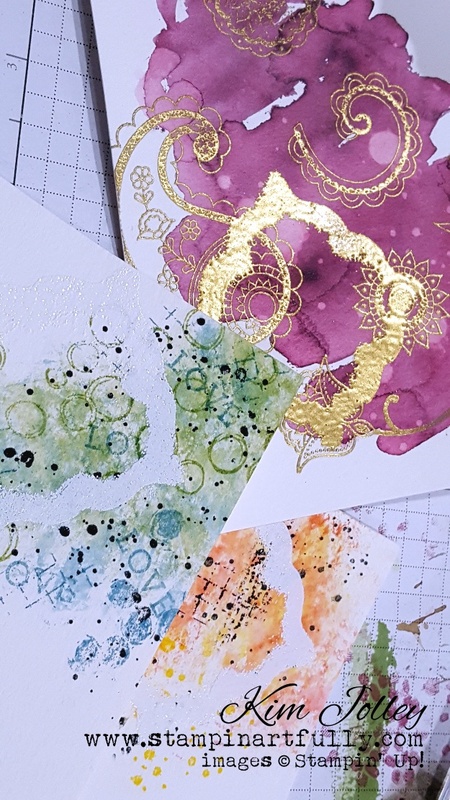 Just like I am drawn to certain rubber stamp images or die cuts, when I look at other artist's paintings or collage work I am drawn to, I seem to constantly be thinking "oh...I have a stamp kind of like that, or I have a die that would work in a similar fashion". 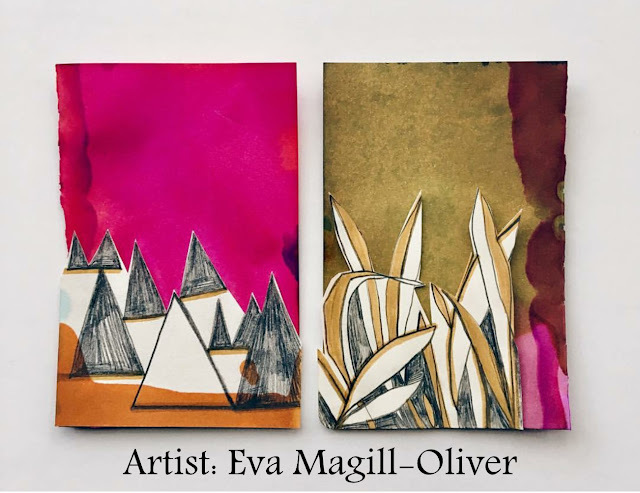 I found Eva Magill-Oliver on Instagram. I was immediately captivated by her paintings and her paper art. Once I went to her actual website, I was blown away by the art and imagery. Visit her website here. When I decided I wanted to devote a blog post to her piece with my interpretation, I contacted her. She very graciously allowed me to use a piece for inspiration and include info about her in this blog post. I was really drawn to the piece on the right. Below is my interpretation using Stampin' Up! products. 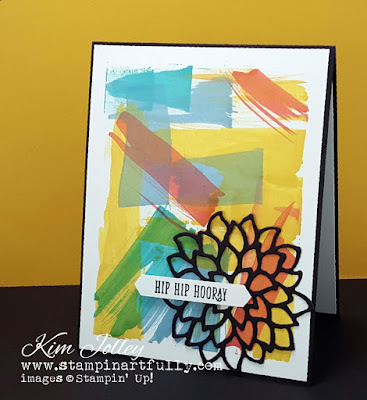 I used a flower from the Remarkable You stamp set, a texture stamp from Best Birds and what will I'm sure be my new favorite word stamp from a set available in June called Colorful Seasons. I used Cherry Cobbler, Rich Razzleberry, Crushed Curry and Early Espresso reinkers to watercolor with. The actual card measures 5.25 x 6.0. After I had cut out the flowers and finished the watercolor background, I decided I wanted the flowers to continue past the watercolor background and rather like the look this gives. I hope you have enjoyed reading a little bit about my creative process and what makes me "tick". I appreciate artists who inspire me and are blazing the trails I can follow. 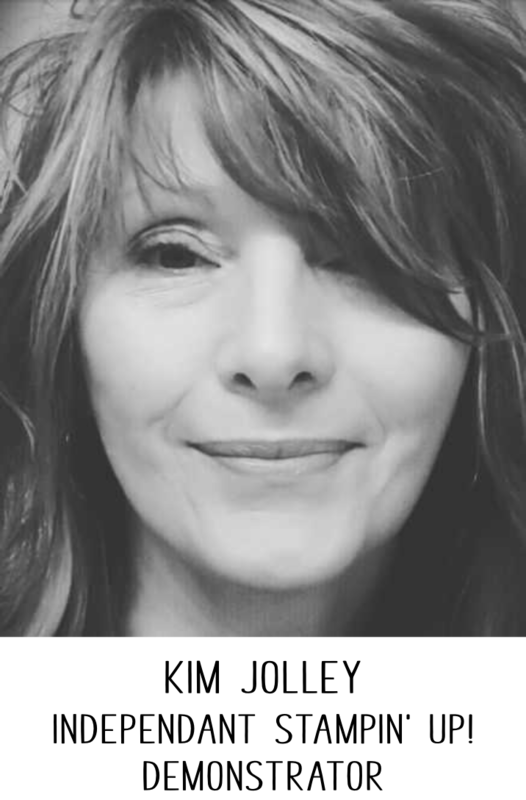 Please visit Eva's website and follow her on Instagram. I promise you will be inspired also. When I first saw the new Eastern Palace Bundle, I knew it would be one that would be interesting to use. There are so many ways to go with the rubber stamps and dies included in the bundle! This morning, I was browsing over on my "guilty pleasure", also known as Pinterest. Part of what I do when I am looking and pinning is that I look for inspiration for what I do by looking at home decor items and wall art. This is one of the things I saw this morning that inspired me. Look how cool this looks with a bit of silver embossing and watercolor! Details below on how you can get in on the special bundle pricing for Eastern Palace until May 31. For everything else, including the retiring items that are going fast, click on the Shop With Me link. 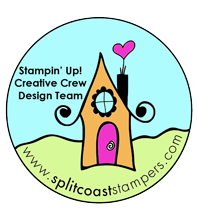 Splitcoaststampers Creative Crew and Eastern Palace Bundles! I didn't mean to be away from my blog this long. Really. It just seemed like every time I thought about sitting down to write a post, something else needed done. Ever have days (weeks) like that? 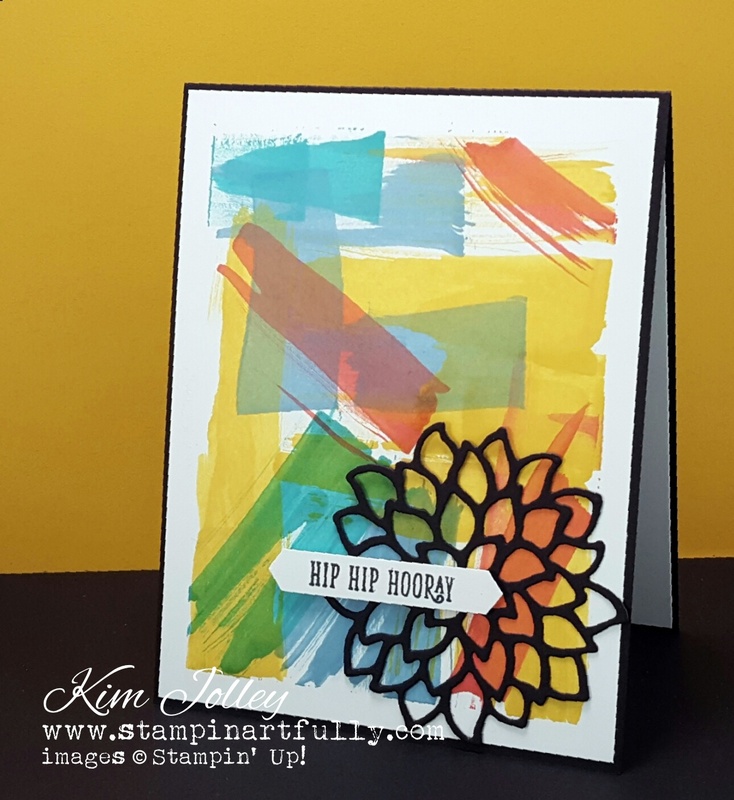 Last fall, I was invited to be part of the Splitcoaststampers Creative Crew. At the time, I just couldn't make the commitment. I was delighted when I was asked again and this month marks my first month on the Crew. As a part of the Crew, we are given challenges we need to use to complete several projects. 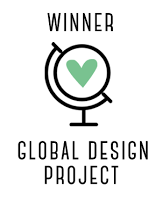 The first one I'm going to post here on the blog is one where you make one project that is somewhat simple, then a second project that is more elaborate or "stepped up!". I rather enjoyed this idea and may incorporate it in to my blog in the future. Unless noted, all products Stampin' Up! 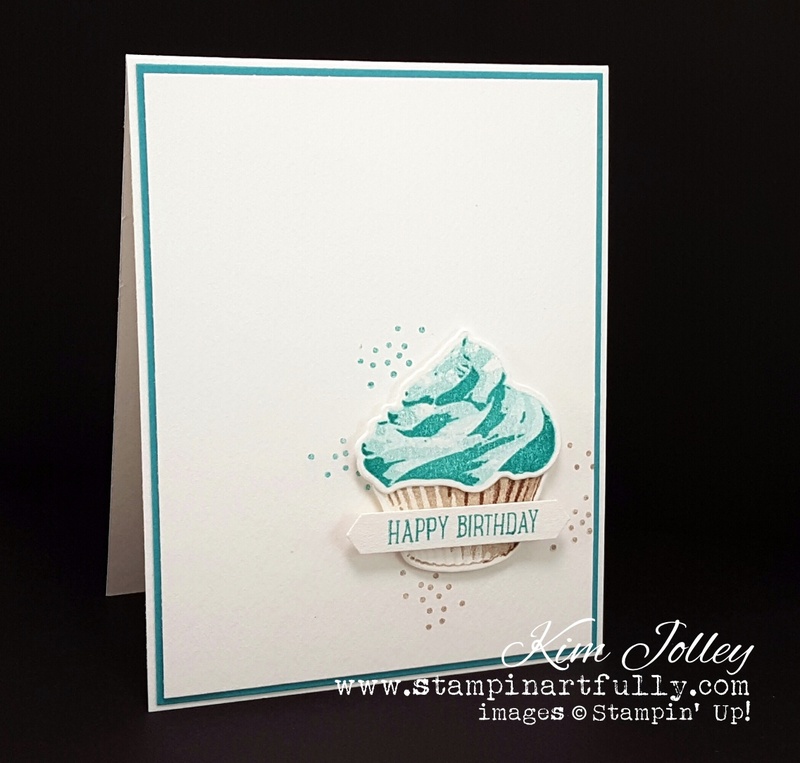 I had not used the Sweet Cupcake stamp set with matching dies before this challenge. I am in love with it! Even though the card above is very simple, I think the little cupcake says it all and would let anyone know you remembered them on their special day. This is the "stepped up" version. 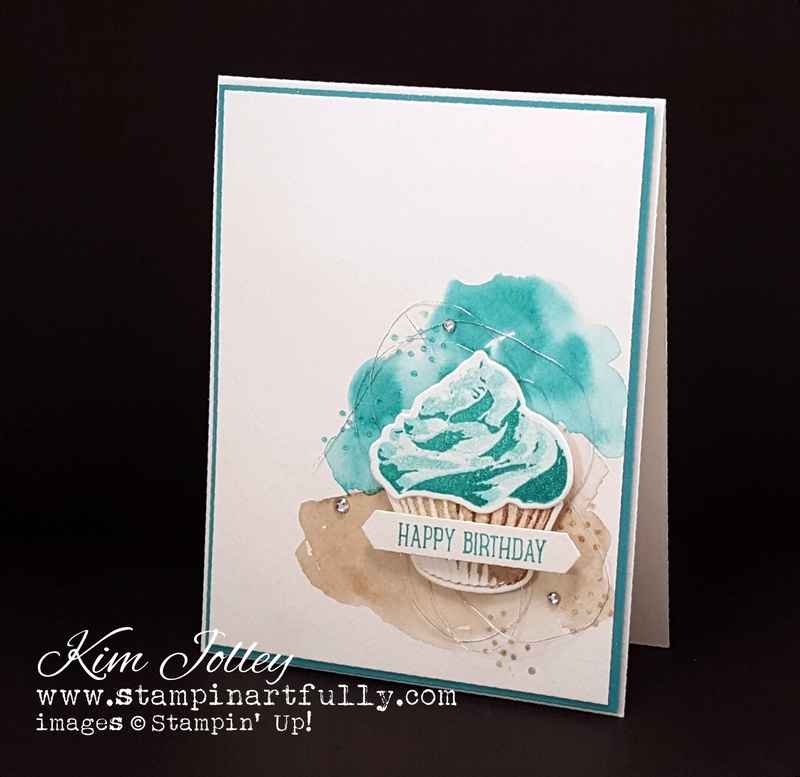 I used watercolor paper for the layer under the cupcake and simply used the same colors I had stamped the cupcake parts with to make the background. It's a bit hard to tell, but I added Clear Wink of Stella to the frosted part to give it a little extra sparkle. I had so much fun with the stepped up version, I made one more replacing Bermuda Bay with Flirty Flamingo ink. Instead of the Silver Metallic Thread, I used a snippet of white cheese cloth I had in my stash.